These traditional Easter dinner ideas are sure to make your family Easter dinner a HUGE success! You can’t go wrong with ANY of these tried-and-true recipes! Every year our family gathers together on Easter Sunday to enjoy a traditional ham dinner. We usually serve some kind of potato dish, a salad, and hot homemade rolls. Some families enjoy pork loin, pork chops, or even lamb for Easter dinner. These are all very traditional Easter dinner ideas as well. We know every family is different but we wanted to share with you our very favorite Easter Dinner ideas, including side dishes, salads, and even desserts! 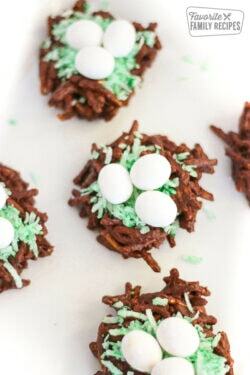 As an added bonus, we will also share with you a sample Easter Dinner including recipes! 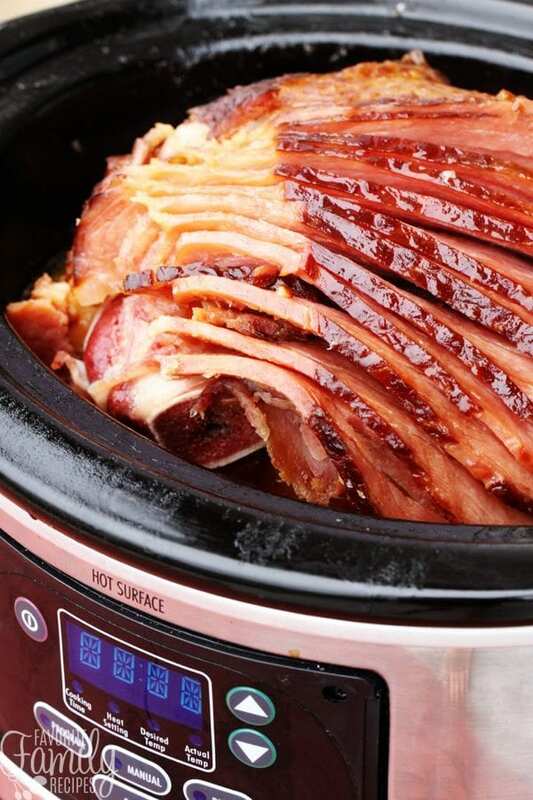 There are many ways to prepare an Easter ham, but we usually like to make it one of two ways: Baked or in a Crock Pot. 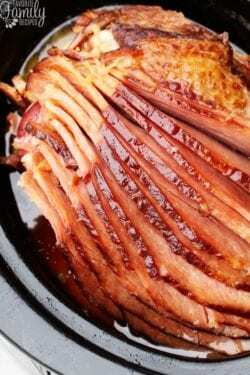 Doing a baked ham is nice because you can just pop it in the oven in a roasting pan and once it is done cooking you can just un-cover it and get a nice caramelized glaze over the top. Slow cooking is a great way to go when you need oven space for potatoes or other side dishes. Both taste incredible! It really just comes down to your personal preference. 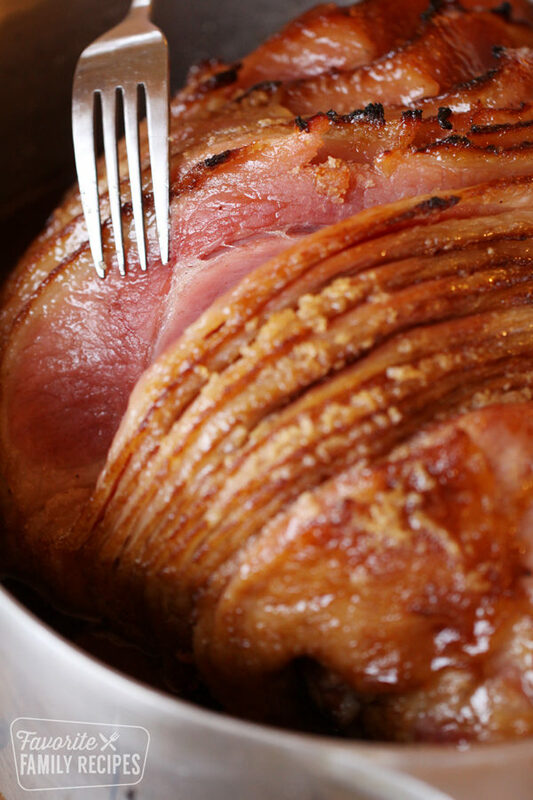 Our favorite baked ham is our Honey Baked Ham Recipe. Sweet and smoky with succulent spices, this copycat recipe tastes just like your favorite holiday ham, but made right at home. You will love the caramelized glaze on this ham. It is perfectly crispy and sweet. This Slow Cooker Ham with Maple and Brown Sugar is also a favorite of ours. It has so much flavor and NEVER dry. The flavor is SO good, you will never want to use the included flavor packet again! 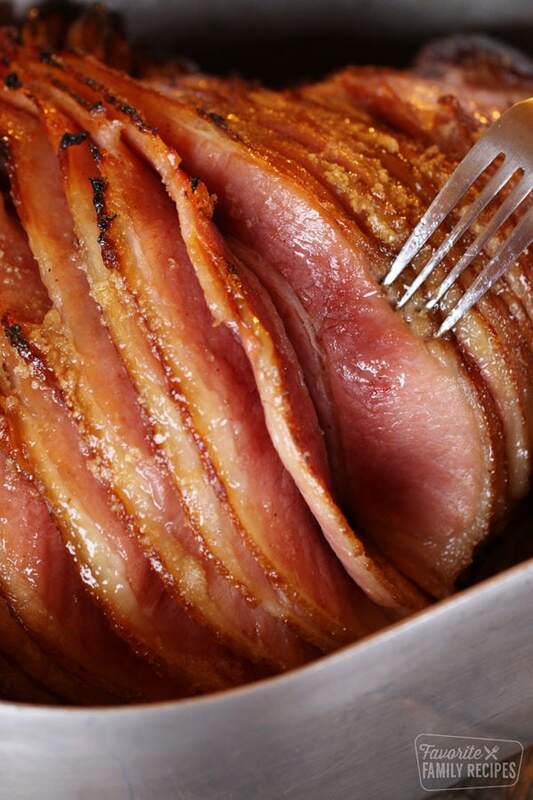 It is the perfect, juicy ham for Easter. You can’t serve a ham dinner without a good potato side dish. 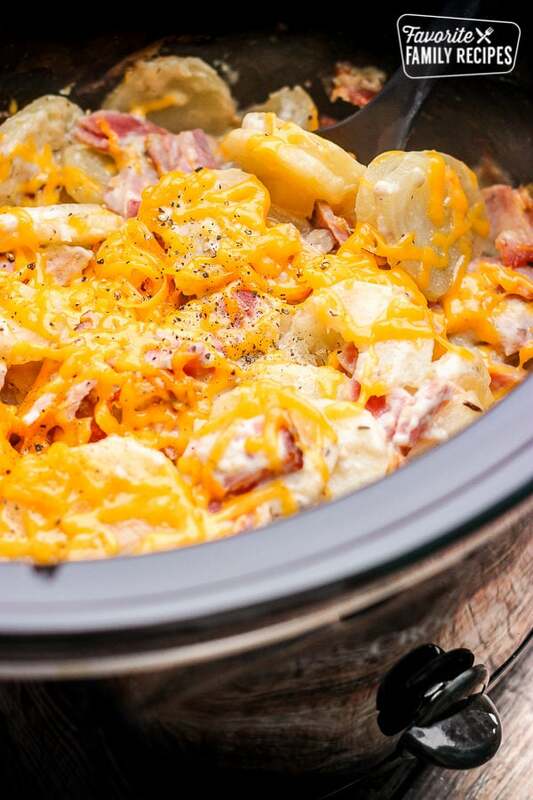 Typically Easter potatoes are served “casserole-style” in a casserole dish with some kind of sauce and cheese. Some examples of this are funeral potatoes or potatoes au gratin. Our readers have commented saying that they have loved serving our creamy potatoes with peas or our parmesan potato halves with their ham dinners as well. Check them all out and decide for yourself what suits your family best! Any of these Easter dinner ideas will be a winner! More often than not, we serve Funeral Potatoes (aka “Cheesy Potato Casserole) with our Easter dinner. They complement the ham perfectly and they are always a hit with the entire family. There are lots of different names for these potatoes.. in Utah they call them “funeral potatoes” because they are a staple for feeding large groups of people. But this recipe is far and above the best recipe I have had. Parmesan Baked Potato Halves have quickly become a fan favorite on our site, and for good reason, they are so easy and yummy! 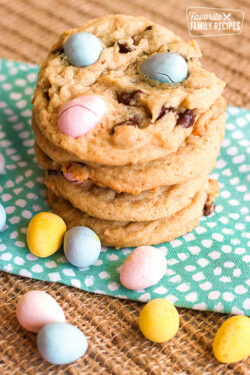 They are perfect for Easter dinner! They have gone crazy on Pinterest and Facebook with millions of recipe shares and video views. 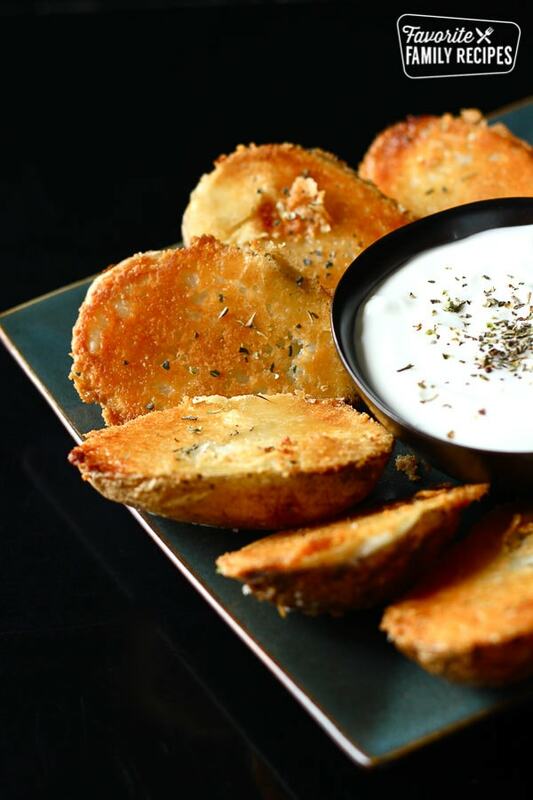 We have gotten so many great comments from our readers about how much they love these potatoes. They really are THAT good! 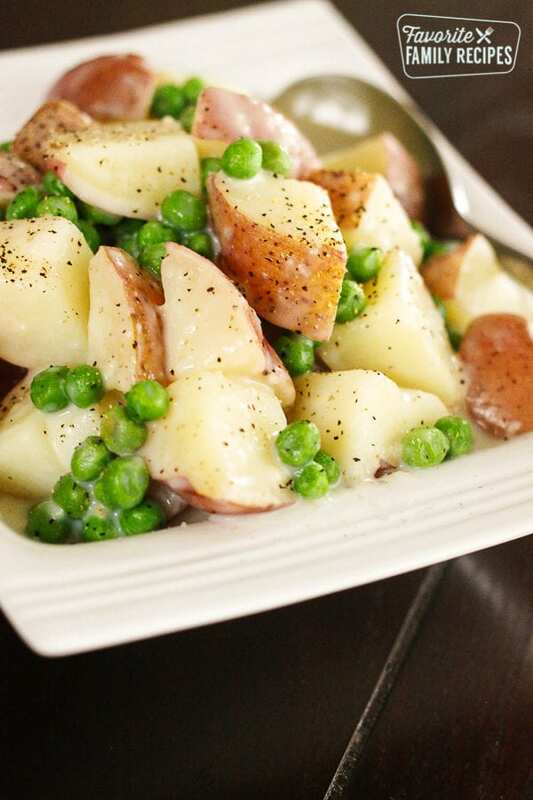 These Creamy Potatoes and Peas were a favorite side dish growing up. 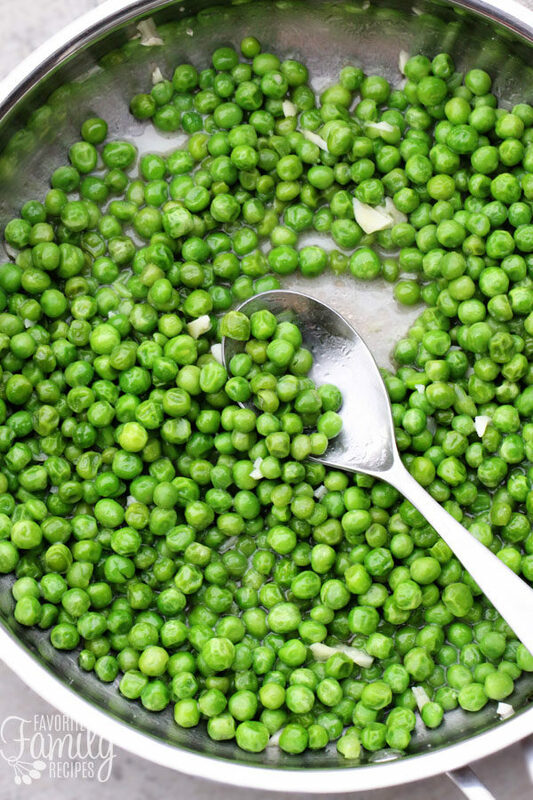 It is creamy comfort food at it’s best, especially with peas fresh from the garden. The peas in this dish make it perfect the perfect side dish for Easter dinner or any Springtime meal. Potatoes Au Gratin (or Dauphinoise Potatoes) is another traditional Easter dinner side dish. We also have a Crock Pot Potatoes Au Gratin recipe that is totally no-fuss recipe and can be prepared quickly and easily. This recipe calls for ham added to the potatoes but since you would be making this as a side dish, you can make it even EASIER and just leave the ham out. 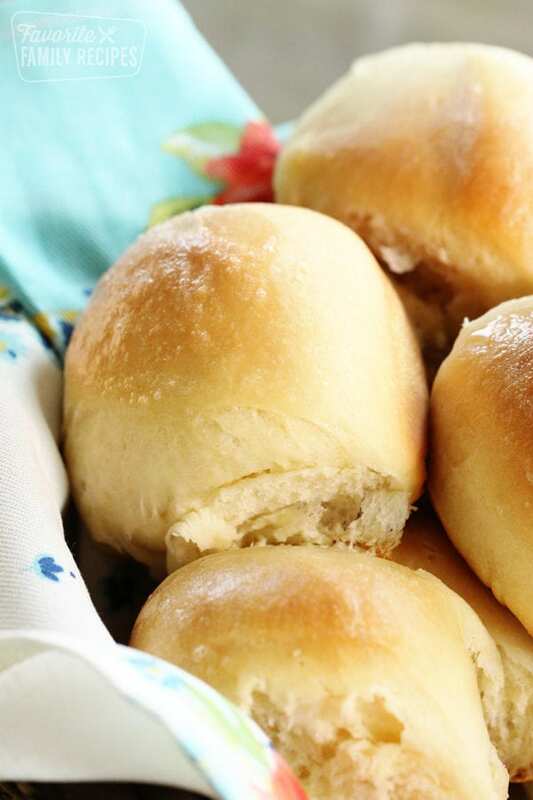 These Homemade Dinner Rolls have been a favorite in our family for generations. We serve them with soup, salad, and of course, Easter dinner! There’s just something about a hot homemade roll with a delicious ham dinner. They are just so soft, fluffy, buttery, and go perfectly with ANY meal! We always make extra so we can have Easter ham sliders the next day. How about a side dish that can be made in less than 15 minutes? This Oven Roasted Asparagus is SO easy to make and it is the PERFECT vegetable side dish for Easter dinner. Perfectly tender and crisp every time! 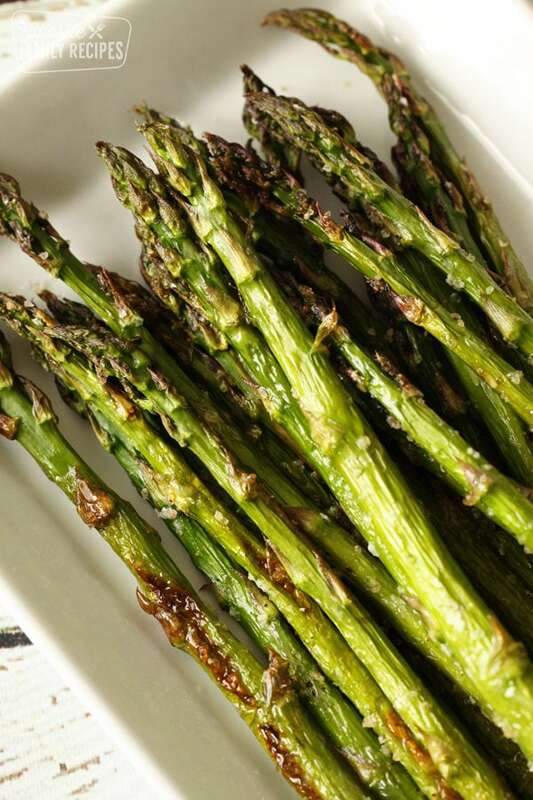 If you are finding you don’t have the oven space because of ham, rolls, or try our Sautéed Sweet Asparagus instead. It is just as easy and can be made right on the stove top! This Homestyle Potato Salad is always our go-to, especially when we are doing an Easter Potluck. 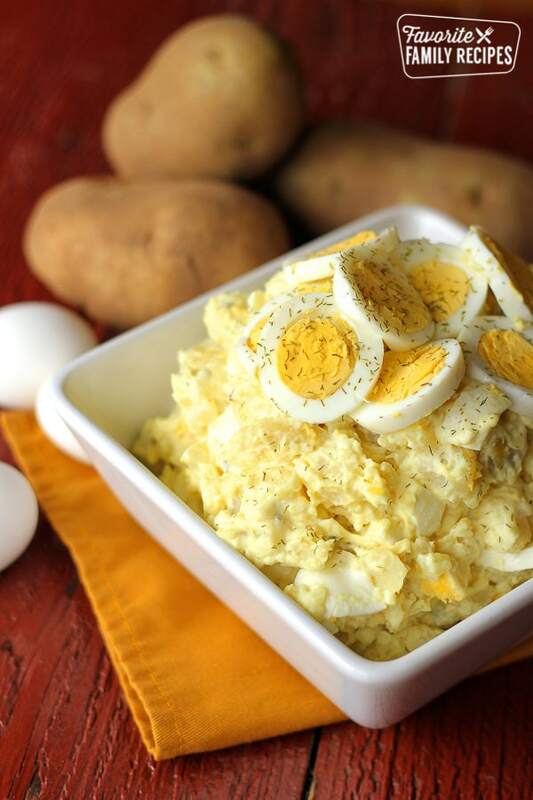 This potato salad is a GREAT way to use up those extra hard-boiled Easter eggs! This is a tried-and-true recipe that has been in our family for years. We can’t imagine a family barbecue, picnic, or Easter dinner without this rich and creamy homestyle Potato Salad as a side dish. 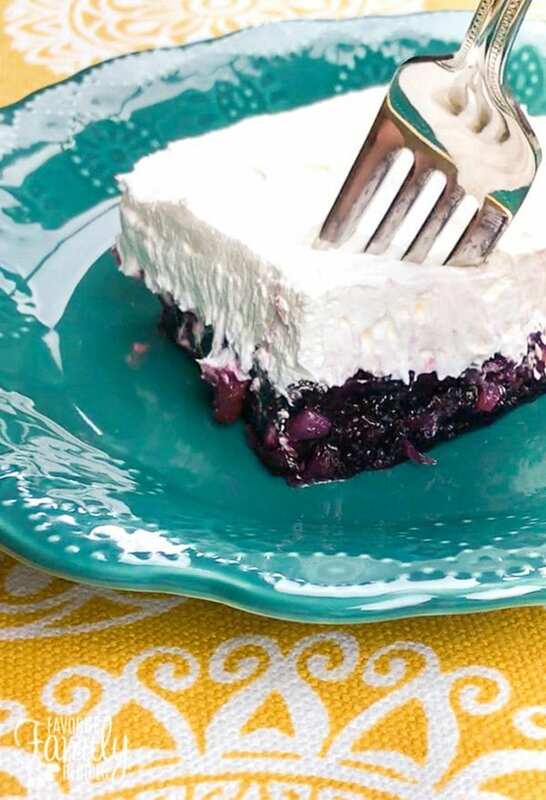 This Blueberry Jell-O salad is the perfect make-ahead side dish for Easter dinner. Some have argued that this is more of a dessert than a salad. I’m not exactly sure why these types of dishes are called “salads”. In all honesty I think it is more of a side dish or like many of you, closer to a dessert than a salad, but historically it called a Jello salad so we are just going with it. No matter what you call it, it is a great picnic addition! Peas always seem to be a go-to for Easter dinner for most people. They are simple, tasty, and usually only take just a few minutes to prepare. But, did you know there is a RIGHT way to cook frozen peas? It’s true! You won’t believe how delicious frozen peas can be! Give them a try! You will see! When it comes to Easter Desserts and Treats, we don’t mess around. 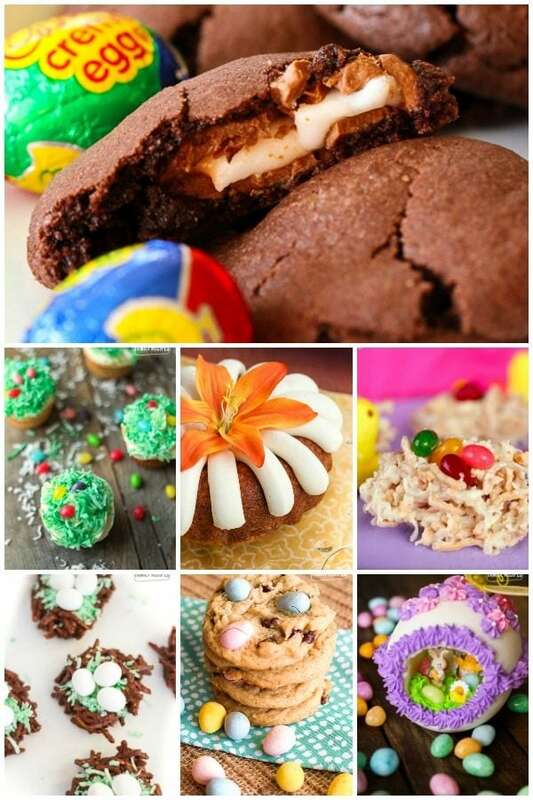 In fact, we love Easter desserts and treats so much, we created an entire, separate post dedicated to them (click HERE). 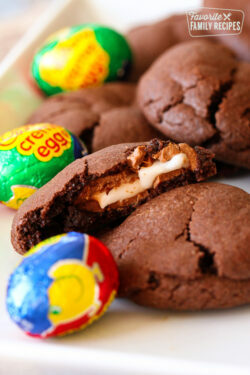 These tasty treats can be served along with Easter dinner or even as surprises in Easter baskets. They are as fun to make as they are to eat! This Nothing Bundt Cakes Lemon Cake Copycat Recipe tastes just like the original! 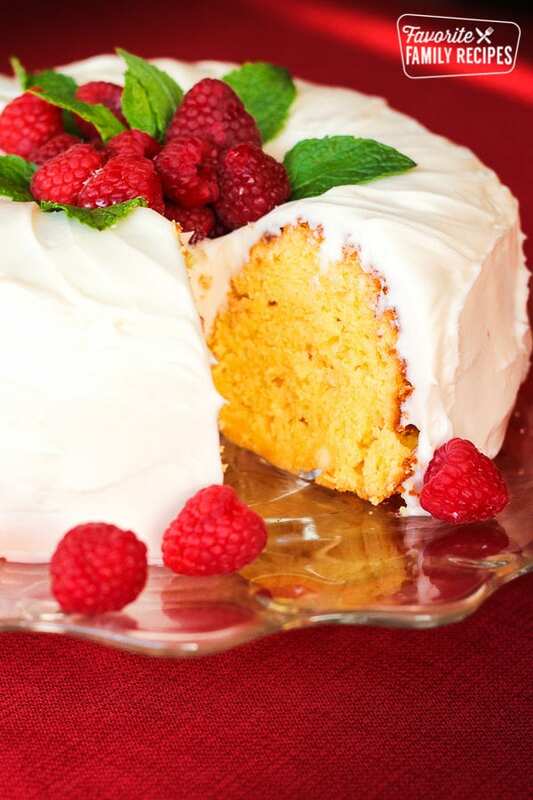 A sweet, tart cake with an AMAZING cream cheese frosting. It pairs perfectly with Easter dinner! Because of the richness of Nothing Bundt Cake’s Lemon Cake, one bundt cake can easily serve 15-20 people. It saves in the refrigerator for several days if you have leftovers. The cake can also be frozen and then thawed in the refrigerator before it is frosted. This Coconut Cream Pie is by far the best I have ever had. The difference is that our filling is made from scratch and never with a pudding mix. It makes all the difference. Homemade always tastes best, and this couldn’t be more true with this recipe. 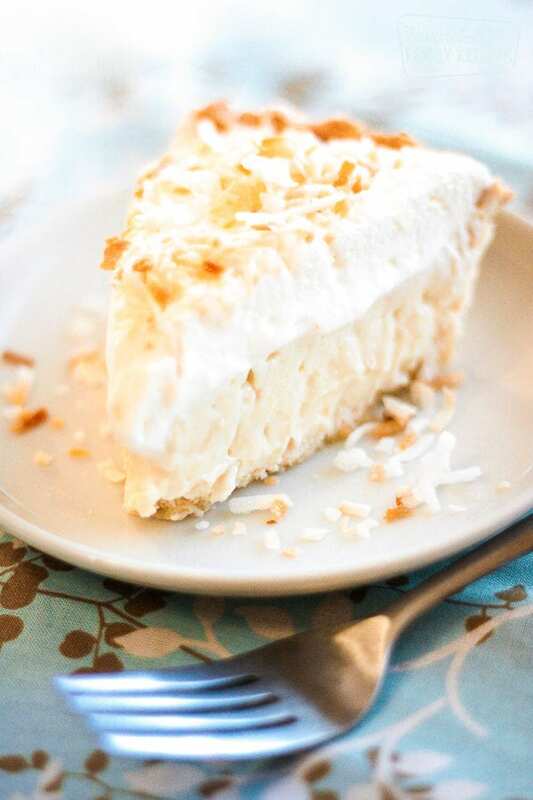 To quote one of our readers, “Hands-down the best coconut cream pie I have ever made and tasted!” Not a fan of coconut but LOVE pie? Try our delicious Key Lime Pie (straight from Georgia) or our Lemon Meringue Pie. Any of these tasty pies will go perfectly with Easter dinner! Four Layer Banana Pudding is stacked with bananas, pudding, cheesecake filling and crunchy cookies. 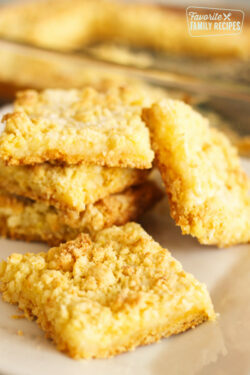 This Paula Deen recipe is one of our favorite desserts and it couldn’t be easier to make. Try it for your next Easter dinner. You won’t be disappointed! I don’t know about you, but we ALWAYS seem to have leftover ham from Easter dinner. 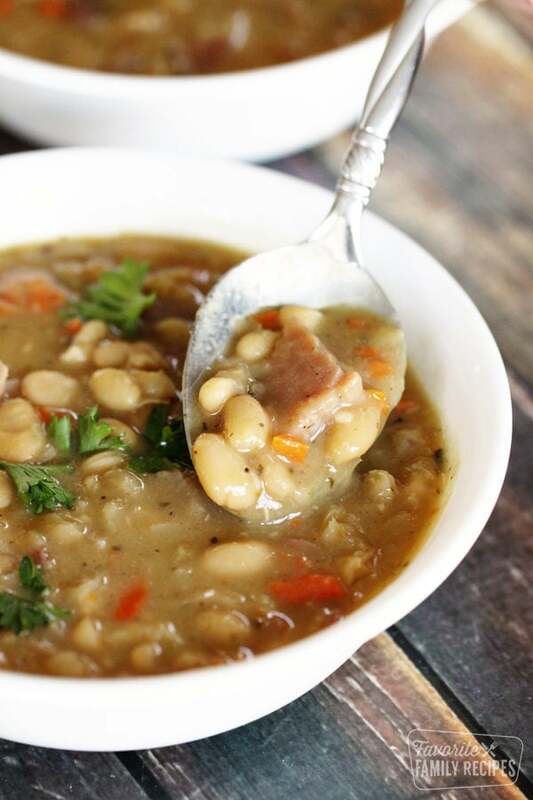 What better way to use up that leftover ham than this savory, delicious Ham and Bean Soup? Hearty chunks of ham, buttery beans and veggies in a savory broth makes this a perfect Easter leftover meal. 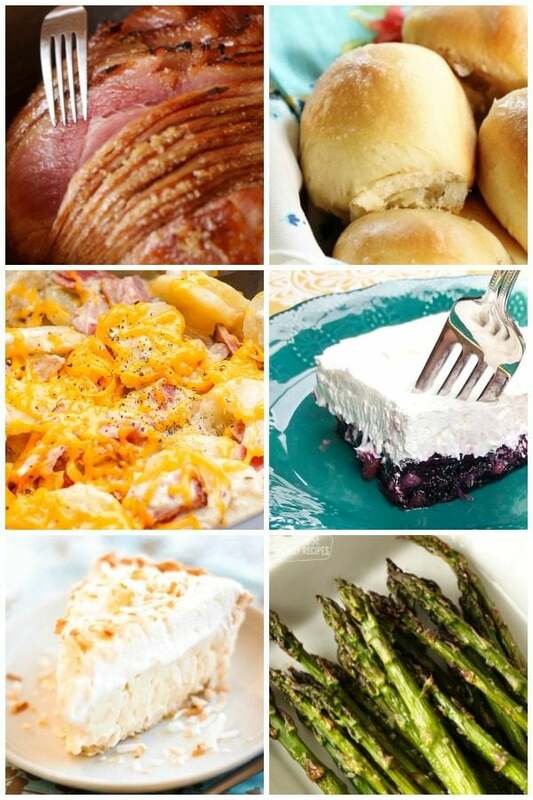 Here is a sample menu plan for a delicious and easy Easter Dinner. It features Slow Cooker Ham, Cheesy Potato Casserole, Sautéed Sweet Asparagus, and a Four Layer Banana Pudding for dessert. See the Recipe Notes for timing it all out perfectly. We are taking all of the stress out of it just for you! Please enjoy your beautiful, well-planned Easter Dinner! Recipes for a delicious Easter Dinner along with help for timing the preparation (see Recipe Notes). These recipes will serve a dinner party of up to 12. Remove the ham from packaging and place ham, flat-side down, in a large slow cooker (7 quarts or larger). Generously rub brown sugar all over the ham. Pour maple syrup and pineapple juice over the ham. Place lid on slow cooker and cook for 2-3 hours on low heat. 30 minutes prior to serving, remove lid and spoon the juices over the ham. Cover and cook for 30 more minutes. Remove ham from slow cooker and serve. Mix all ingredients, except optional toppings, in a large bowl. Spread mixture evenly into a 9x13 pan. Bake at 350 degrees for 1 hour. 1. Corn flake crumb topping: BEFORE baking Sprinkle corn flake crumbs over casserole. Drizzle 2 tablespoons of melted better over the corn flake crumbs. Bake. 2. Melted cheese topping: Prepare casserole and bake for 50 minutes. 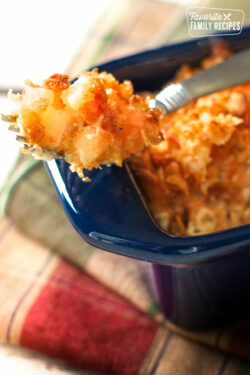 Remove casserole from oven and evenly disperse 1 1/2 cups of shredded cheese over the casserole. Return the casserole to the oven and bake for 10 more minutes. Rinse asparagus. Snap off the bottoms of each stalk and discard the bottoms. Melt butter in a large skillet over medium heat. Add asparagus to the skillet and sprinkle sugar over the stalks. 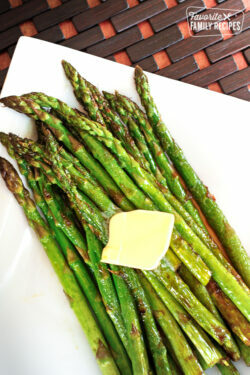 Sauté asparagus over medium-high for 5-7 minutes or to your preferred doneness. Serve immediately. Top with another layer of Chessmen cookies (the picture side up) and refrigerate until ready to serve. Prepare the Four Layer Banana Pudding. This can be made the morning of, or the day ahead. It can also be made just after starting the Slow Cooker Ham and still have time to refrigerate so it can be served nice and cold. After the ham has been cooking for about an hour, prepare the Cheesy Potato Casserole. Once it's in the oven, you can take another 45 minute break. If you are making a green salad or other sides, now is a good time to do it. At this point the ham has been cooking for about 2 hours. Take it out of the slow cooker and cut it into slices. Place the slices back in the juices in the slow cooker to keep them warm while you sauté the asparagus. Dinner is ready to go! Place the asparagus in a pretty serving dish with a spoon or tongs, place the sliced ham on a nice platter with a serving fork, remove the potatoes from the oven and set on the table with a serving spoon. 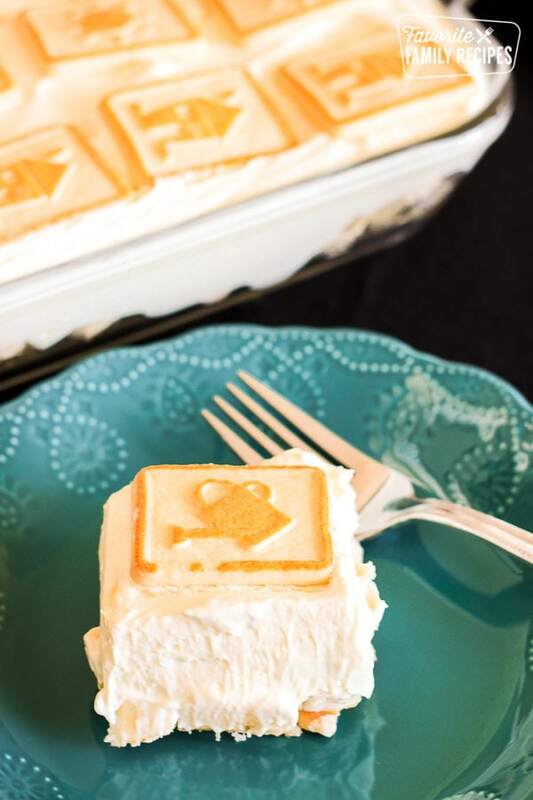 When you are ready, cut the Four Layer Banana Pudding into slices and serve.